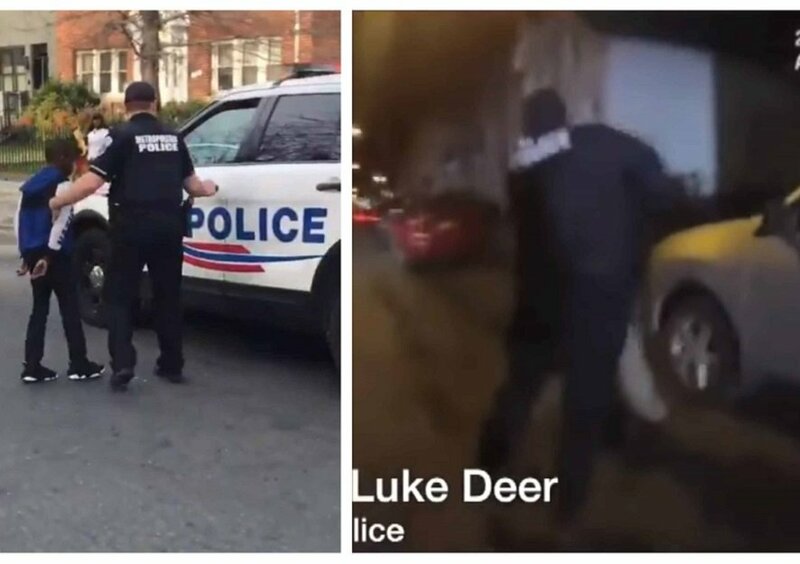 Those were some of the words from some onlookers who witnessed a 10-year-old black boy being handcuffed then led to a waiting police vehicle by Washington, D.C. police officers on suspicion of being involved in an armed robbery. According to NBC Washington, the 10-year-old’s detention came about after the police received a complaint from a boy about being assaulted and robbed of his phone at gunpoint by three boys. The information provided led them to detain the boy as one of the suspects. He was, however, eventually exonerated. DC Attorney General Karl Racine confirmed this in a news release on Friday after his office reviewed surveillance videos of the incident, NBC Washington further reports. “We are now certain that there is no evidence that the 10-year-old boy played a role in the armed robbery. He is totally innocent,” Racine said. Racine, however, stated that the officers did nothing wrong with the arrest. “We owe it to the young victim of this crime to hold the people who hurt him accountable. We also owe it to the 10-year-old who was incorrectly identified as an armed robber to set the record straight,” he said. The victim’s mother, Chaquitta Williams, in the aftermath of the incident told WUSA9 how the incident affected her son. “It just destroyed him the whole night,” she said. In another separate incident, the Times Union reports that New York police officer and 5-year veteran Luke Deer is facing assault and official misconduct charges after a body camera footage showed him assaulting a black male without provocation when he and his colleague officers responded to a noisemaking complaint in a home. Prior to the assault which happened last month, the officers barged into the house after they were refused entry then manhandled and handcuffed a black male. Two other officers have been suspended.